I'm not sure if I'm actually going to enjoy counting down the weeks until Christmas as I have a feeling it's going to be here before I know it. In saying that though, I love, love, LOVE Christmas. I love putting up the tree and wrapping presents. I love Santa lists and excited kids - including the biggest kid - Me! 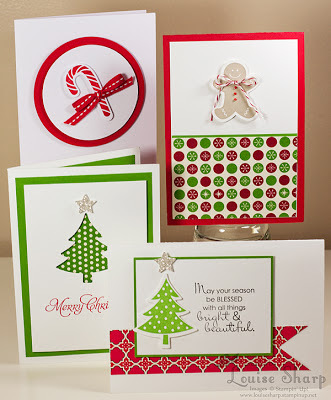 This weeks Product Spotlight is yet another Stampin' Up! favourite and has been very popular. Scenstational Seasonals - Page 6 from the Holiday Catalogue. 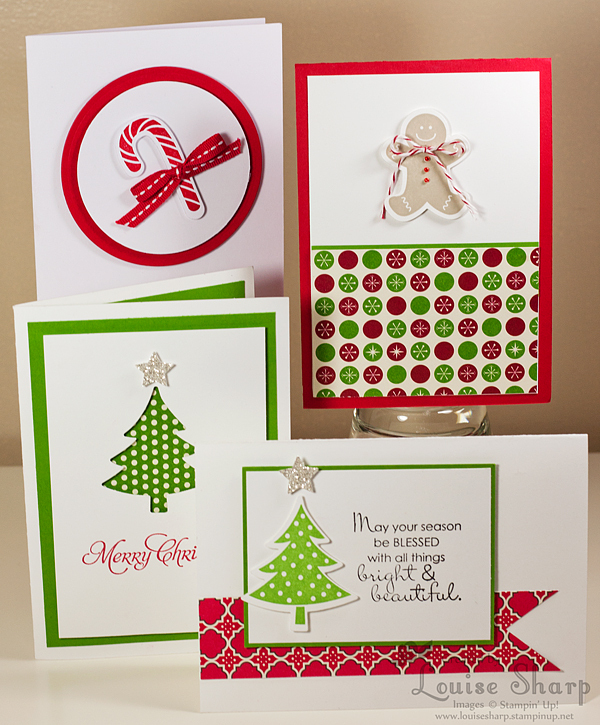 The set has matching Framelit Dies, so no cutting out - create fast die cuts in seconds with your Big Shot. 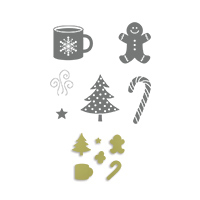 Scentsational Seasons Stamp Set is $32.95 for Wood Mount / $25.95 for Clear Mount. Buy the Bundle! This includes both the Stamp Set and the Framelits. $64.50 for Wood Mount and $58.50 for Clear Mount. Some of my creations using this set. There are some amazing cards and projects that other people have created, but I thought I would share a personal favourite set from Jennie Maier. 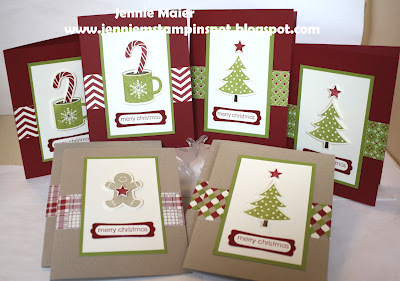 It looks as though Jennie is a more prepared with her Chrissy cards than me - I better get cracking! To purchase anything from the catalogues please contact me.